He might not have got his hands around the team trophy he wanted, but Ryan Kesler was still humbled and honoured to see his name etched on a highly-respected individual award. He will tell you the Game Seven Stanley Cup final loss, a 4-0 shutout at the hands of the Boston Bruins, still stings to this very day. But, in spite of the tough-to-swallow defeat, Kesler, who emerged as one of hockey's finest two-way players in 2010-11, was buoyed by hearing his name called as the recipient of the Selke Award, recognizing the NHL's top defensive forward. Although the Selke acknowledges a single player, Kesler, who had a career-high 41 goals this season, felt compelled to point out the contributions of others. Still, there's no denying the Michigan native had a monster year. Kesler began 2010-11 playing on the power play with Daniel and Henrik Sedin. Two months into the season, he recorded his 100th career NHL goal in a 4–2 win against the Colorado Avalanche on November 24, 2010. He later earned his first NHL career hat-trick, scoring all three of Vancouver's tallies in a 3–2 overtime win over the Columbus Blue Jackets on December 15. Nearly a month later, he recorded his second three-goal game, this time against the Edmonton Oilers in a 6–1 win. In January, Kesler was selected to his first NHL All-Star Game, one of three Canucks (Daniel and Henrik Sedin were the others). He was chosen to be an alternate captain alongside Washington Capitals defenseman Mike Green representing Eric Staal's team. Prior to the Canucks' final home game of the regular season on April 7, 2011, Kesler was presented with the team's Most Exciting Player Award, as voted by the fans. Facing the Minnesota Wild that night, he went on to record his third hat trick of the season, reaching the 40-goal plateau in the process, as Vancouver won 5–0. But in spite of a trio of hat tricks and a career-high number of goals at the NHL level, Kesler was equally, if not more proud, of his efforts to neutralize the other team's scorers. 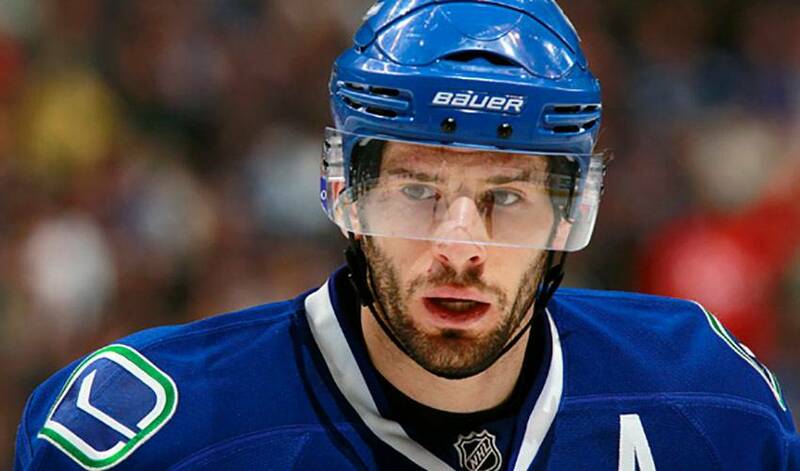 It certainly did for Kesler and the Canucks in a memorable campaign for the Western Conference club. And one he'll use for inspiration in 2011-12. The answer, Kesler knows, will come when he and his teammates take another shot at Cup glory. Another season like he had in 2010-11 would certainly go a long way in helping the Canucks take things one step further. It has paid off quite handsomely, as Kesler has become one of the top two-way forwards in the game today and his style of play will be a key tool in helping him and the Canucks ultimately get their hands on the trophy they covet.